We are a design and print company whose core belief is to make the creation and delivery of projects simple, easy and perfectly printed. With over three decades of knowledge and experience we are professional designers who can deliver everything you require for your marketing needs. Customer service is a priority to us and we provide a first-class service, quality marketing solutions and great value. 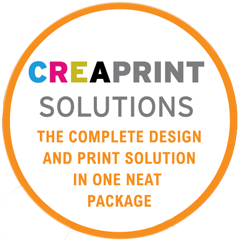 We combine creative design with the latest printing equipment to produce fantastic promotional material. We provide a complete design and print solution, so there's no need to find separate designers and printers, we can do it all for you. We work closely with our clients to deliver a print and design solution that meets your needs. We aim to make the whole design and print process as smooth as possible, and we keep you involved throughout the development of your project to produce a final design we are both proud of. The key to good design is to keep it clean and simple, engage the target audience and relevant to the service or product being marketed. All our design work is undertaken with this principle in mind. An easy and efficient production process is vital for delivering projects on time. From design approval to artwork sign off, our process is exactly that - easy and efficient. The quality of final printed material is vitally important. We guarantee to match the right print technology, material and finish to any print project at an affordable price.